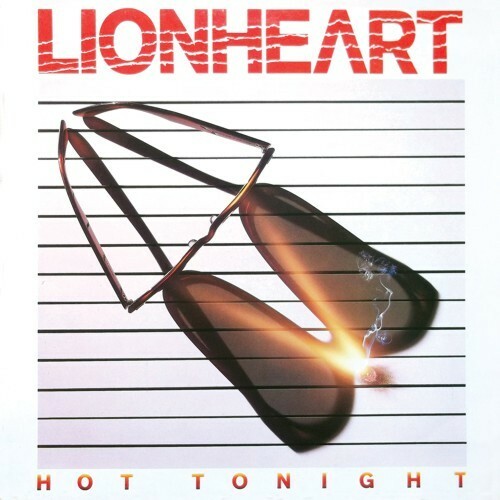 Re-issue of the first and final release of Lionheart. Part of the legendary line up featured on the ground-breaking Iron Maiden debut, within a year of its release guitarist Dennis Stratton found himself out in the cold. At one particularly low ebb he considered giving up the music business altogether, but when the creative hunger began to return he instead looked to put together a new band of his own … its only remit being that it would not in any shape or form sound anything like Iron Maiden! Joining forces with one-time Liar guitarist Steve Mann (later of course to join the MSG ranks), bassist Rocky Newton and original Tygers Of Pan Tang vocalist Jess Cox – we’ll gloss over the constantly changing drum seat for now – this new band of budding hopefuls (by then already christened Lionheart) set about writing a batch of songs that would attract the interest of promoters and labels alike. It didn’t take too long to figure out that the rasping growl of Cox wasn’t suitable for the commercially slanted songs they were coming up with (I reckon 10 minutes tops would’ve done the trick! ), and after auditioning a number of different singers (including Lautrec’s Reuben Archer) they eventually settled on session man Chad Brown. Possessed of a soulful, passion drenched hard rock voice, Chad’s classic vibrato fitted the mood perfectly. 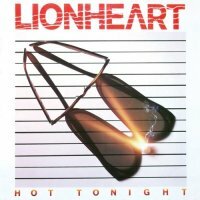 Thanks to Nigel Thomas (former manager of Joe Cocker and Spooky Tooth) the band scored themselves a US deal with CBS, and in the spring of ‘84 decamped to Los Angeles to record their debut album ‘Hot Tonight’ under the guidance of producer Kevin Beamish. A household name thanks to recent mega platinum successes with REO Speedwagon, Beamish was the perfect choice to help Lionheart mould their AOR friendly hard rock sound, and when ‘Hot Tonight’ duly emerged several months later they made no apologies for the distinctly American sheen it conveyed. Pitched somewhere between Praying Mantis and Grand Prix with a nod towards old school Whitesnake and Bad Company (not to mention Journey and REO Speedwagon), it never sat easily within the confines of the NWOBHM, but with the benefit of nearly 30 years hindsight it has certainly endured better than most. Boasting a surfeit of strong hooks, multi-layered harmonies and impetuous keyboards, tracks like the hugely infectious ‘Towers Of Silver’, the audacious ‘Don’t Look Back In Anger’ (resplendent with its pompous keys), the fizzing ‘Wait For The Night’, brooding ‘Nightmare’ and spirited title track ‘Hot Tonight’ all showcased a band that would surely go all the way. Sadly for Lionheart a promised US tour with Kansas stalled then evaporated, and ultimately the band called it a day in 1986, leaving this solitary album as their first and final release. Still as epitaphs go, this one ain’t half bad at all!